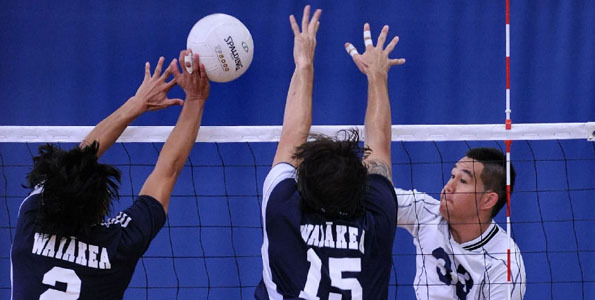 Photos of the action on the Big Island. 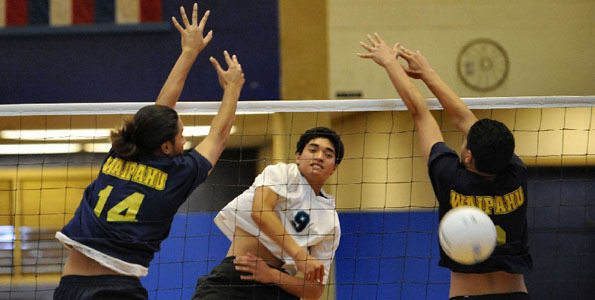 In a boy’s BIIF volleyball game the Waiakea Warriors defeated the host Kamehameha Warriors 25-21, 19-25, 25-12, 25-19. 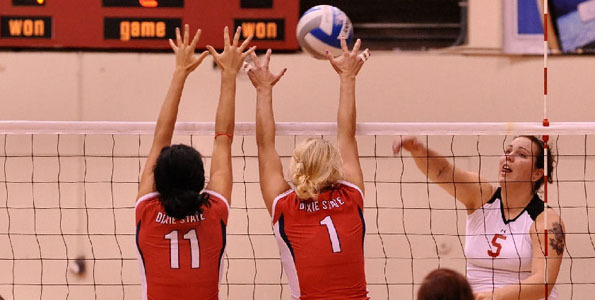 The University of Hawaii at Hilo continued their roll through the Pacific West Conference with a 3-0 victory over Dixie State College in the UHH gym. 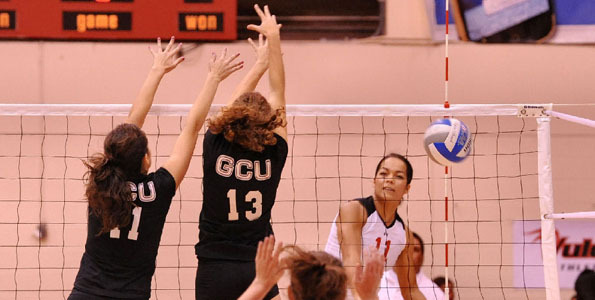 The University of Hawaii at Hilo chalked up another win with a 3-1 victory over Grand Canyon University in the UHH gymnasium. 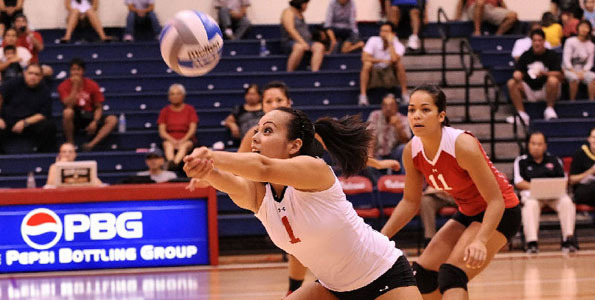 Even with a 3-0 win over Grand Canyon University in Pacific West Conference play Friday (Oct 22), the University of Hawaii at Hilo may have taken some steps backward this late in the season. 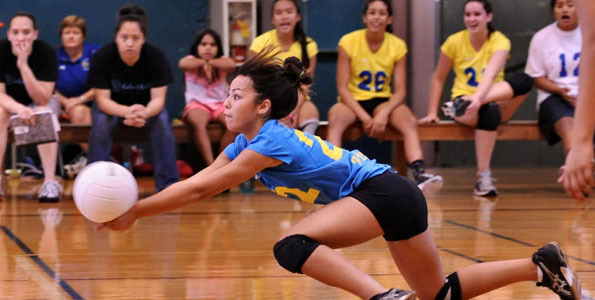 In Thursday (Oct 14) girls’ BIIF volleyball game, the Hilo Vikings defeated the Christian Liberty Canefires in straight sets, 25-7, 25-12, 25-7. 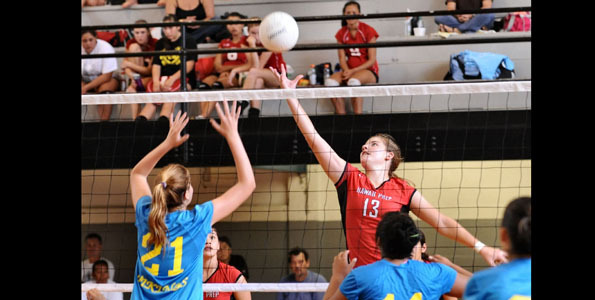 The St. Joseph Cardinals hosted the Waiakea Warriors in their final home game of the season. Come to Hawai‘i Volcanoes National Park on Wednesday, October 13th and enjoy an evening of Hawaiian music. Listen to the sweet sounds of Ho‘onanea, featuring Kai Ho‘opi‘i, Nolan Ha‘o and Ipo Quihano. Kai Ho‘opi‘i is an Aloha Festivals Hawaiian falsetto singing contest winner.